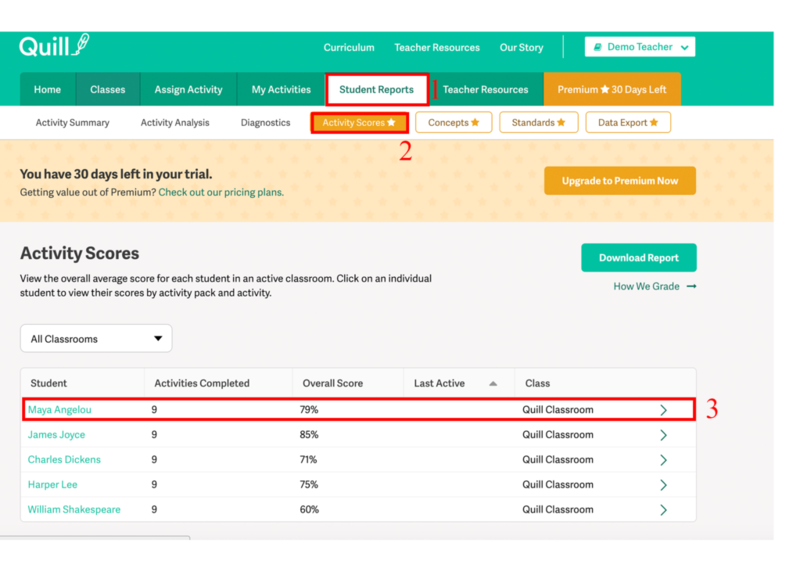 How do I use the Activity Scores Report? 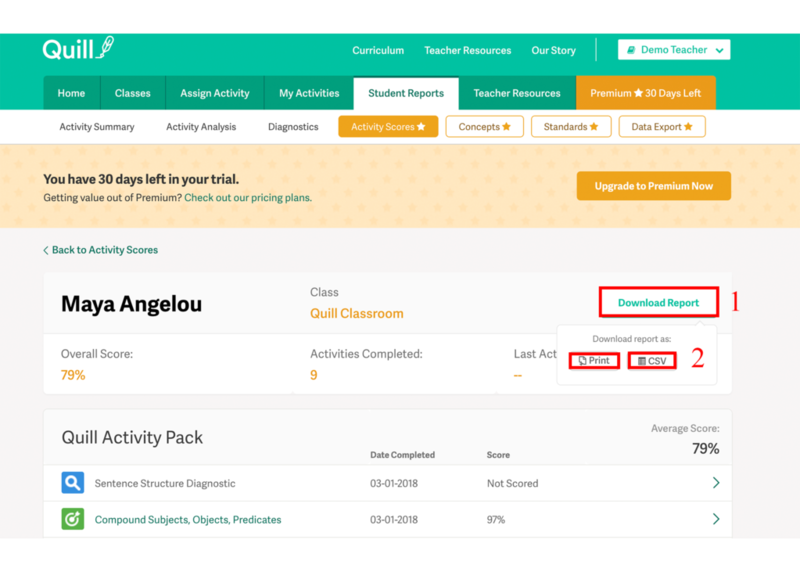 Go to the "Student Reports Tab"
The first page that you will see after clicking "Activity Scores" shows all of your students' average scores on all of their Quill activities. 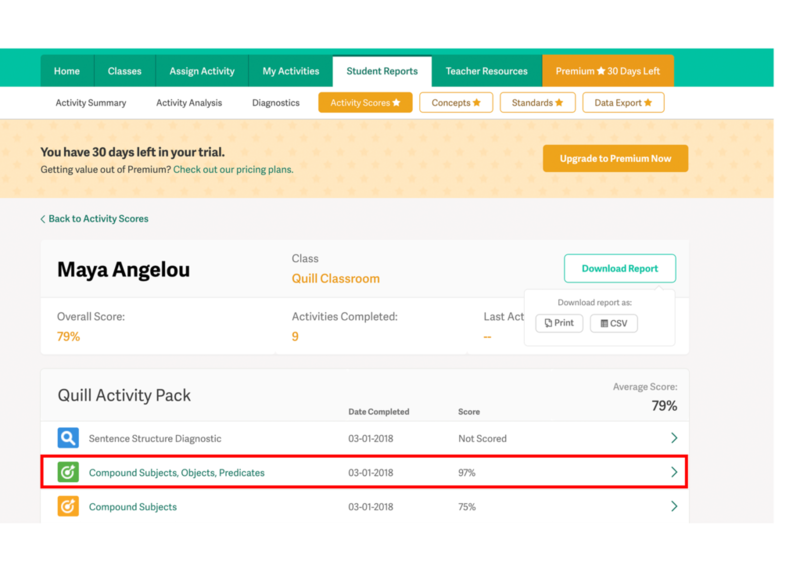 Click the name of a student to see how they scored on each activity pack. Underneath the name of the activity pack, you will see each activity. Click on the name of the activity to see how your student answered each question. 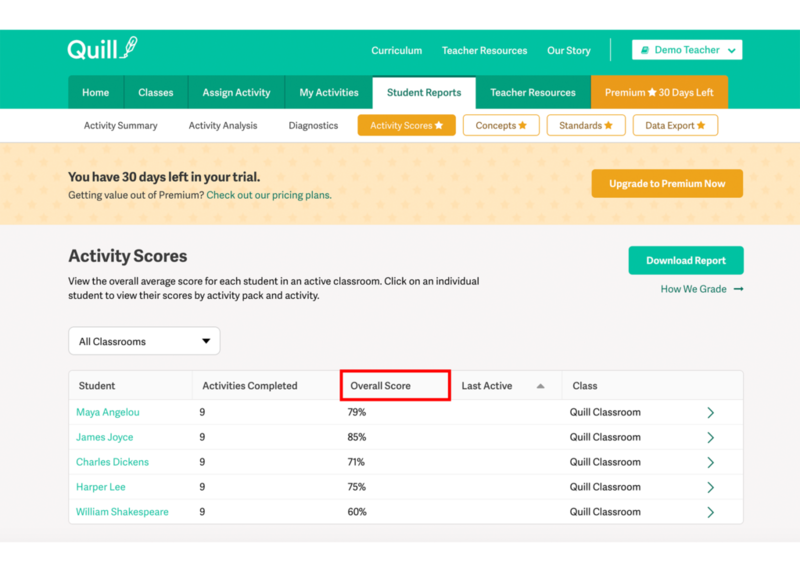 To sort your students by overall score, click the "Overall Score" column on the first "Activity Scores" page. This allows you to group students based on highest and lowest performance. Clicking the "Download Report" button will provide you with two options. Click the "Print" button to download a printable report to your computer. This report can be shared with students and parents. Click the "CSV" button to download a report for your grade book.